Architectural design of alterations and extensions transforms a single storey house in South Manchester near Macclesfield. Four extensions and combination of existing kitchen and living spaces are unified by architectural design. Spatial fluency is created. The entire building was a construction site. This is the smart contemporary home of a successful professional couple. The large open living/cooking/dining space flows into the garden through bi-folding doors. Natural light shines into it from the roof light above. A state of art kitchen is presented in the interior. Beautifully lit as part of my clients’ sophisticated interior design. Before. The large window will be removed leading to a new study extension. After. The multi-use living space with study extension beyond. Beam casings are also service spaces, e.g. extract hood. The architectural design is realised by carefully refined steelwork. Structural engineers Howard Johnston reduced beam downstands to a minimum. They designed the lightest possible sections for lower steel costs. The architectural design is also finely balanced thermally. Bi-folding doorways in the living space and master bedroom. Plus two large rooflights. All are significant heat sinks. Compensation was calculated by the architect for super-insulation. 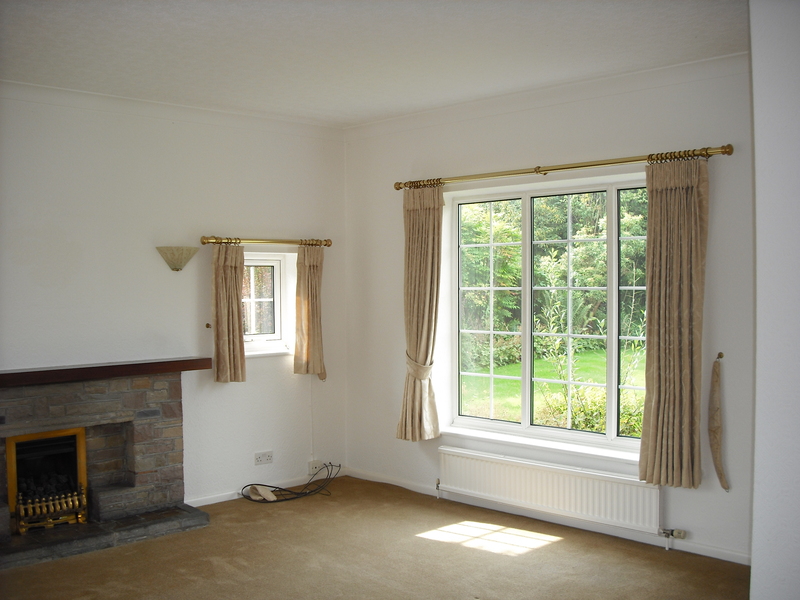 This maintains an affordably warm interior whilst achieving building regulations compliance. Building control was by Campagna. Initial cost planning by quantity surveyor Katie Green of Dawson Green broadly established viability and funding needs. My clients were able to project manage realisation of the design themselves. So taking the project forward with builder Nick McIvor of Oak Building Services . 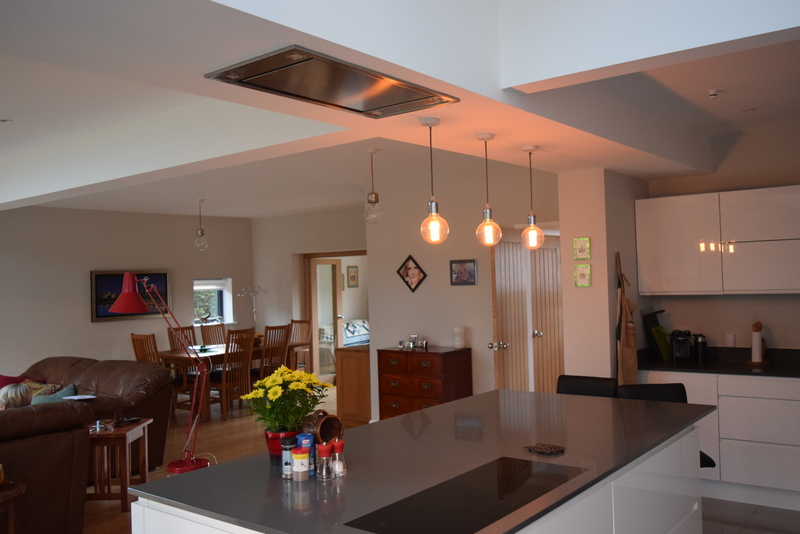 Nick worked closely to co-ordinate the kitchen installation designed and supplied by JDB Interiors , Poynton. This successful project is transformative, extensive and complex. And a good example of high quality achieved with an able design and construction team led by decisive and experienced managing clients. 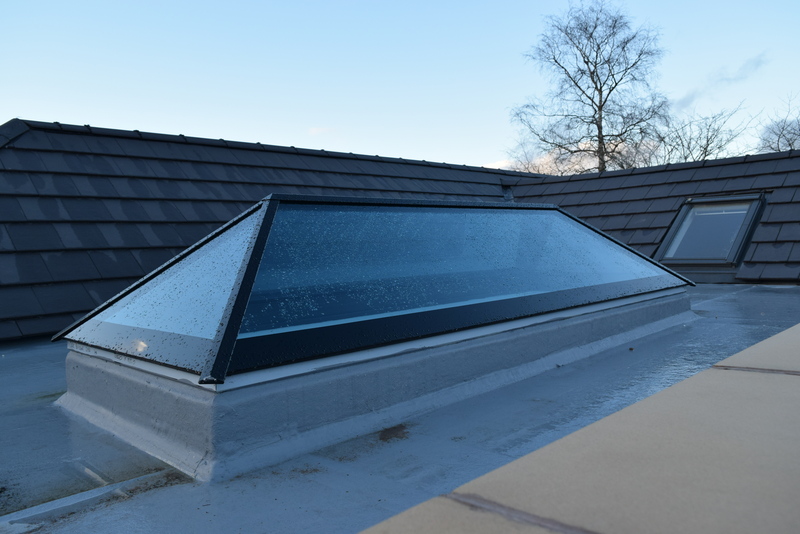 Pictured bottom : Roof light from Reflex Glass within new extensive super-insulated roof scape. Before. 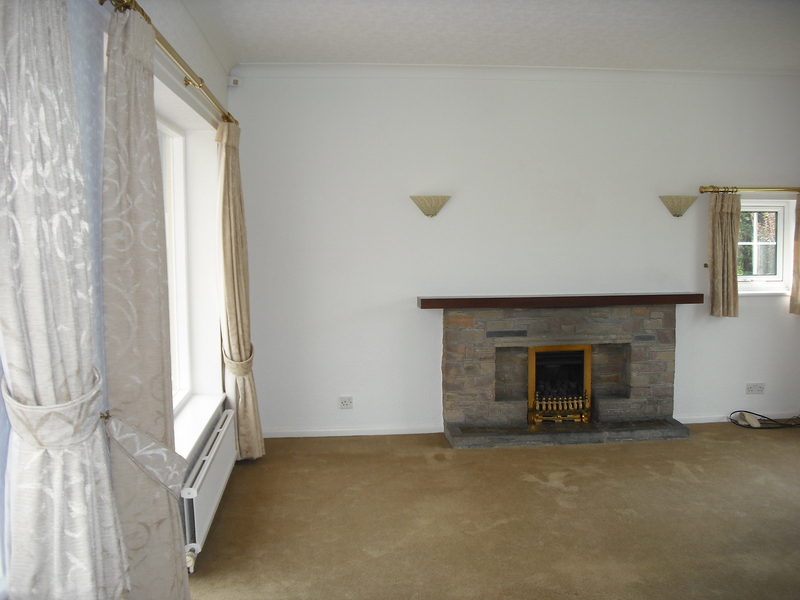 The fireplace and side window will be removed leading to bi-folding doors. After. 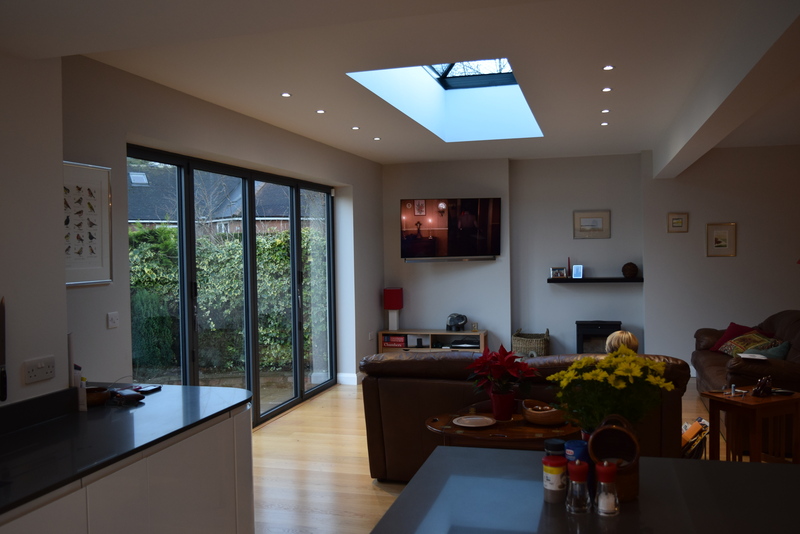 Bi-folding doors and roof light in an architectural design conceived to unify.